Compassionate Advocacy from a Skilled Boston Bankruptcy Lawyer Need an Attorney ? …. If you reside in the Boston metropolitan area and are struggling with taxation difficulties or considering declaring bankruptcy, call me. I understand the frustration and worry you’re going through because I have been in your shoes. –often it can be because the financial credit system in the US is tilted uphill against individuals and families. If you do need a fresh start, let’s begin by sitting down and discussing your circumstances. From offices in Boston, I represent individuals and families in consumer bankruptcy matters in communities through Boston and the neighboring counties. To discuss your situation and to schedule a free bankruptcy consultation, phone my law office at Saugus, MA – 781-558-5172 or East Longmeadow, MA – 413-224-2286. 1) Chapter Seven: This kind of bankruptcy is what many men and women think about — and hope for — when they declare bankruptcy. Through Chapter Seven, you are able to get rid of all or most credit card debt, medical expenses, tax arrears along with another consumer debt. In many cases, you can keep your house and the family car. Not all sorts of debt can be removed, and there are numerous constraints about who qualifies. Chapter 13: This kind of bankruptcy is available to everybody. Under Chapter 13, you can save yourself a considerable quantity of cash by consolidating all your debt into a convenient 3 to five-year repayment plan supervised by the court. Under Chapter 13, your total monthly payments are usually low, and you might incorporate every kind of debt which may not be removed under Chapter Seven. Whether with Creditors or the Internal Revenue service, I Have Your Back Additionally to my bankruptcy services, I have also helped customers in Boston, and the surrounding areas with their taxation problems. Dealing with the Internal Revenue service can be stressful and fear-inducing. When faced along with tax problems, many individuals believe that they’re at the mercy of the Internal Revenue service and therefore are unaware of the advantages a Boston tax attorney can offer. Proudly Serving All Boston & surrounding areas What would your life be like in the event you could just start over out of debt? Chapter Seven of the U.S. Bankruptcy Code allows individuals and families to eliminate all or most of their consumer debt and get the fresh start they want. I am Boston bankruptcy attorney If It seems that juggling finances to pay the mortgage, car payment, the power bill, or buying groceries every month was part of your daily lives. And Sounds too familiar ? Let’s talk. WHAT DEBT CAN BE DISCHARGED ? Chapter Seven allows you to eliminate most credit card debt, medical expenditures, other consumer debt, as well as small business debt should you meet certain qualifying criteria. The great news is that many individuals do qualify. You may even eliminate state and federal tax debt following conditions for repayment have been met. Many individuals are unable to maintain their home and the family car, should they agree to reaffirm the debt and continue to make timely payments. WHAT IF YOU DON’T QUALIFY ? In order to qualify to get rid of your debt through Chapter Seven, your debt-to-income ratio must meet certain criteria. In case the calculation determines that you need to be capable to meet your debt obligations, you’ll qualify for Chapter 13 bankruptcy to restructure your debt. During your first free bankruptcy consultation, I will clarify the new bankruptcy legislation and help you determine whether Seven or Chapter 13 is your smartest option. Whenever you keep me as your Boston bankruptcy attorney, you may immediately put an end to all collection calls and legal actions your creditors have started against you. Including protecting yourself from home foreclosure or auto repossession. You can inform the bill collectors to call your attorney ! Helping the People of Boston and surrounding areas Many individuals declaring bankruptcy are concerned that they won’t be unwilling to eliminate all their debts. The not-so-great news is that not everybody qualifies for Chapter Seven bankruptcy. The terrific news is that Chapter 13 bankruptcy is available for nearly everybody and is often a better option for greatly reducing or eliminating your debt. The best news is that Chapter 13 allows you to restructure all your debt into a cheap multiyear repayment plan which can save you thousands of dollars in loan principal and interest payments. Under Chapter 13 of the U.S. Bankruptcy Code, you agree to lump all your debt payments into a restructured plan which will be supervised by a bankruptcy trustee. You’ll prevent home foreclosure and stop harassing collection calls and legal actions like wage garnishment, liens, and levies in procedure against you personally, while decreasing your total monthly payment. Additionally, creditors often look kindlier on a Chapter 13 bankruptcy on your record than they’ll a Seven. In the long run, you’re making a good faith effort to repay the amount you borrowed. Want a Debt Management Plan? Ask Me About Chapter 13 Bankruptcy. For bankruptcy services, I provide reasonable fees based on a fair retainer and sincere billing policies. I’m available from 8:30 a.m. to five p.m. on many weekdays. Weekend and evening appointments are available if you make special arrangements. 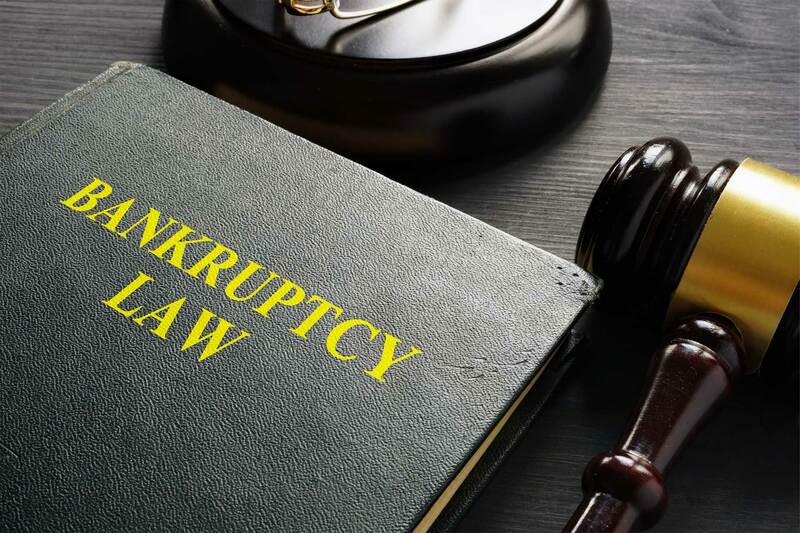 If you’re unable to keep up with juggling payments, making your monthly mortgage and car payments, and handling other bills, you may be considering declaring bankruptcy. Many individuals have heard myths, half-truths, and outright falsehoods about what your life will be like after bankruptcy. Creditors, obviously, need you to believe the worst. Best local bankruptcy attorney in 02101, Best local bankruptcy attorney in 02108, Best local bankruptcy attorney in 02109, Best local bankruptcy attorney in 02110, Best local bankruptcy attorney in 02111, Best local bankruptcy attorney in 02112, Best local bankruptcy attorney in 02113, Best local bankruptcy attorney in 02114, Best local bankruptcy attorney in 02115, Best local bankruptcy attorney in 02116, Best local bankruptcy attorney in 02117, Best local bankruptcy attorney in 02118, Best local bankruptcy attorney in 02119, Best local bankruptcy attorney in 02120, Best local bankruptcy attorney in 02121, Best local bankruptcy attorney in 02122, Best local bankruptcy attorney in 02123, Best local bankruptcy attorney in 02124, Best local bankruptcy attorney in 02125, Best local bankruptcy attorney in 02126, Best local bankruptcy attorney in 02127, Best local bankruptcy attorney in 02128, Best local bankruptcy attorney in 02129, Best local bankruptcy attorney in 02130, Best local bankruptcy attorney in 02131, Best local bankruptcy attorney in 02132, Best local bankruptcy attorney in 02133, Best local bankruptcy attorney in 02134, Best local bankruptcy attorney in 02135, Best local bankruptcy attorney in 02136, Best local bankruptcy attorney in 02137, Best local bankruptcy attorney in 02141, Best local bankruptcy attorney in 02149, Best local bankruptcy attorney in 02150, Best local bankruptcy attorney in 02151, Best local bankruptcy attorney in 02152, Best local bankruptcy attorney in 02163, Best local bankruptcy attorney in 02171, Best local bankruptcy attorney in 02196, Best local bankruptcy attorney in 02199, Best local bankruptcy attorney in 02201, Best local bankruptcy attorney in 02203, Best local bankruptcy attorney in 02204, Best local bankruptcy attorney in 02205, Best local bankruptcy attorney in 02206, Best local bankruptcy attorney in 02210, Best local bankruptcy attorney in 02211, Best local bankruptcy attorney in 02212, Best local bankruptcy attorney in 02215, Best local bankruptcy attorney in 02217, Best local bankruptcy attorney in 02222 , Best local bankruptcy attorney in 02228 , Best local bankruptcy attorney in 02241, Best local bankruptcy attorney in 02266, Best local bankruptcy attorney in 02283, Best local bankruptcy attorney in 02284, Best local bankruptcy attorney in 02293, Best local bankruptcy attorney in 02297, Best local bankruptcy attorney in 02298, Best local bankruptcy attorney in 02445, Best local bankruptcy attorney in 02467. Best local bankruptcy attorney in 02456, Best local bankruptcy attorney in 02458, Best local bankruptcy attorney in 02459, Best local bankruptcy attorney in 02460, Best local bankruptcy attorney in 02461, Best local bankruptcy attorney in 02462, Best local bankruptcy attorney in 02464, Best local bankruptcy attorney in 02465, Best local bankruptcy attorney in 02466, Best local bankruptcy attorney in 02467, Best local bankruptcy attorney in 02468, Best local bankruptcy attorney in 02495. Best local bankruptcy attorney in 02114, Best local bankruptcy attorney in 02134, Best local bankruptcy attorney in 02138, Best local bankruptcy attorney in 02139, Best local bankruptcy attorney in 02140, Best local bankruptcy attorney in 02141, Best local bankruptcy attorney in 02142, Best local bankruptcy attorney in 02163, Best local bankruptcy attorney in 02238. Best local bankruptcy attorney in 01901, Best local bankruptcy attorney in 01902, Best local bankruptcy attorney in 01903, Best local bankruptcy attorney in 01904, Best local bankruptcy attorney in 01905, Best local bankruptcy attorney in 01910. Best local bankruptcy attorney in 01701, Best local bankruptcy attorney in 01702, Best local bankruptcy attorney in 01703, Best local bankruptcy attorney in 01704, Best local bankruptcy attorney in 01705. Best local bankruptcy attorney in 02451, Best local bankruptcy attorney in 02452, Best local bankruptcy attorney in 02453, Best local bankruptcy attorney in 02454, Best local bankruptcy attorney in 02455. Best local bankruptcy attorney in 01850, Best local bankruptcy attorney in 01851, Best local bankruptcy attorney in 01852, Best local bankruptcy attorney in 01853, Best local bankruptcy attorney in 01854. Best local bankruptcy attorney in 01810, Best local bankruptcy attorney in 01812, Best local bankruptcy attorney in 01899, Best local bankruptcy attorney in 05501, Best local bankruptcy attorney in 05544. Best local bankruptcy attorney in 02121, Best local bankruptcy attorney in 02122, Best local bankruptcy attorney in 02124, and Best local bankruptcy attorney in 02125. Best local bankruptcy attorney in 01801, Best local bankruptcy attorney in 01813, Best local bankruptcy attorney in 01815, Best local bankruptcy attorney in 01867, Best local bankruptcy attorney in 01888, Best local bankruptcy attorney in 01890. Best local bankruptcy attorney in 02445, Best local bankruptcy attorney in 02446, Best local bankruptcy attorney in 02447, Best local bankruptcy attorney in 02467. Best local bankruptcy attorney in 01840, Best local bankruptcy attorney in 01841, Best local bankruptcy attorney in 01842, Best local bankruptcy attorney in 01843. Best local bankruptcy attorney in 02457, Best local bankruptcy attorney in 02481, Best local bankruptcy attorney in 02482. Best local bankruptcy attorney in 02129, Best local bankruptcy attorney in 02141, Best local bankruptcy attorney in 02143, Best local bankruptcy attorney in 02144, Best local bankruptcy attorney in 02145. Best local bankruptcy attorney in 02474, Best local bankruptcy attorney in 02475, Best local bankruptcy attorney in 02476, Best local bankruptcy attorney in 02477, Best local bankruptcy attorney in 02030, Best local bankruptcy attorney in Dover. Best local bankruptcy attorney in 01821 Best local bankruptcy attorney in 01822 Best local bankruptcy attorney in 01862 Best local bankruptcy attorney in 01865 Best local bankruptcy attorney in 01866. Best local bankruptcy attorney in 02459, Best local bankruptcy attorney in 02464, Best local bankruptcy attorney in 02492, Best local bankruptcy attorney in 02494. Best local bankruptcy attorney in 01915, Best local bankruptcy attorney in 01944, Best local bankruptcy attorney in 01970, Best local bankruptcy attorney in 01971, Best local bankruptcy attorney in Belmont, Best local bankruptcy attorney in 02452, Best local bankruptcy attorney in 02478, Best local bankruptcy attorney in 02479, Best local bankruptcy attorney in 01960, Best local bankruptcy attorney in Peabody, Best local bankruptcy attorney in 01961. Best local bankruptcy attorney in 01760, Best local bankruptcy attorney in 01778, Best local bankruptcy attorney in 02482. Best local bankruptcy attorney in 02043, Best local bankruptcy attorney in 02188, Best local bankruptcy attorney in 02189, Best local bankruptcy attorney in 02190, Best local bankruptcy attorney in 02191, Best local bankruptcy attorney in 01450, Best local bankruptcy attorney in Groton, Best local bankruptcy attorney in 01821, Best local bankruptcy attorney in Nutting Lake, Best local bankruptcy attorney in 01775, Best local bankruptcy attorney in Stow, Best local bankruptcy attorney in 02148, Best local bankruptcy attorney in 02176, Best local bankruptcy attorney in Melrose, Best local bankruptcy attorney in 02180, Best local bankruptcy attorney in 01852, Best local bankruptcy attorney in 01862, Best local bankruptcy attorney in Tewksbury, Best local bankruptcy attorney in 01876, Best local bankruptcy attorney in 02035, Best local bankruptcy attorney in Foxboro. Best local bankruptcy attorney in 02032, Best local bankruptcy attorney in 02071, Best local bankruptcy attorney in 02081. Best local bankruptcy attorney in Boston, Best local bankruptcy attorney in Newton, Best local bankruptcy attorney in Cambridge, Best local bankruptcy attorney in Lynn, Best local bankruptcy attorney in Framingham, Best local bankruptcy attorney in Waltham, Best local bankruptcy attorney in Haverhill, Best local bankruptcy attorney in Lowell, Best local bankruptcy attorney in Quincy, Best local bankruptcy attorney in Andover, Best local bankruptcy attorney in Dorchester, Best local bankruptcy attorney in Woburn, Best local bankruptcy attorney in Brookline, Best local bankruptcy attorney in Lawrence, Best local bankruptcy attorney in Watertown, Best local bankruptcy attorney in Acton, Best local bankruptcy attorney in Medford, Best local bankruptcy attorney in Wellesley, Best local bankruptcy attorney in Somerville, Best local bankruptcy attorney in Arlington, Best local bankruptcy attorney in Dover, Best local bankruptcy attorney in Groton, Best local bankruptcy attorney in Billerica, Best local bankruptcy attorney in Braintree, Best local bankruptcy attorney in Lexington, Best local bankruptcy attorney in Bedford, Best local bankruptcy attorney in Townsend, Best local bankruptcy attorney in North Reading, Best local bankruptcy attorney in Needham, Best local bankruptcy attorney in Dedham, Best local bankruptcy attorney in West Medford, Best local bankruptcy attorney in Gloucester, Best local bankruptcy attorney in East Boston, Best local bankruptcy attorney in Salem, Best local bankruptcy attorney in Belmont, Best local bankruptcy attorney in Peabody, Best local bankruptcy attorney in Burlington, Best local bankruptcy attorney in Hudson, Best local bankruptcy attorney in Rockport, Best local bankruptcy attorney in Wilmington, Best local bankruptcy attorney in Lincoln, Best local bankruptcy attorney in Merrimac, Best local bankruptcy attorney in Hathorne, Best local bankruptcy attorney in Wellesley Hills, Best local bankruptcy attorney in Dracut, Best local bankruptcy attorney in Medway, Best local bankruptcy attorney in Norwood, Best local bankruptcy attorney in Allston, Best local bankruptcy attorney in Avon, Best local bankruptcy attorney in Chestnut Hill, Best local bankruptcy attorney in North Chelmsford, Best local bankruptcy attorney in South Hamilton, Best local bankruptcy attorney in Winthrop, Best local bankruptcy attorney in Woodville, Best local bankruptcy attorney in Carlisle, Best local bankruptcy attorney in Natick, Best local bankruptcy attorney in North Weymouth, Best local bankruptcy attorney in West Groton, Best local bankruptcy attorney in Nutting Lake, Best local bankruptcy attorney in Stow, Best local bankruptcy attorney in Melrose, Best local bankruptcy attorney in Tewksbury, Best local bankruptcy attorney in Foxboro, Best local bankruptcy attorney in Milton, Best local bankruptcy attorney in Upper Falls, Best local bankruptcy attorney in Wenham, Best local bankruptcy attorney in Roslindale, Best local bankruptcy attorney in Middleton, Best local bankruptcy attorney in Ashland, Best local bankruptcy attorney in Hopkinton, Best local bankruptcy attorney in Topsfield, Best local bankruptcy attorney in Rowley, Best local bankruptcy attorney in Sudbury, Best local bankruptcy attorney in Medfield, Best local bankruptcy attorney in Reading, Best local bankruptcy attorney in Danvers, Best local bankruptcy attorney in Salisbury, Best local bankruptcy attorney in Maynard, Best local bankruptcy attorney in Sherborn, Best local bankruptcy attorney in West Roxbury, Best local bankruptcy attorney in Boxborough, Best local bankruptcy attorney in Nahant, Best local bankruptcy attorney in Hanscom AFB, Best local bankruptcy attorney in Canton, Best local bankruptcy attorney in North Attleboro, Best local bankruptcy attorney in West Boxford, Best local bankruptcy attorney in Lynnfield, Best local bankruptcy attorney in South Walpole, Best local bankruptcy attorney in East Weymouth, Best local bankruptcy attorney in Babson Park, Best local bankruptcy attorney in Milton Village, Best local bankruptcy attorney in West Townsend, Best local bankruptcy attorney in Pinehurst, Best local bankruptcy attorney in Stoughton, Best local bankruptcy attorney in Waverley, Best local bankruptcy attorney in Sharon, Best local bankruptcy attorney in Georgetown, Best local bankruptcy attorney in Mattapan, Best local bankruptcy attorney in Holliston, Best local bankruptcy attorney in Amesbury.